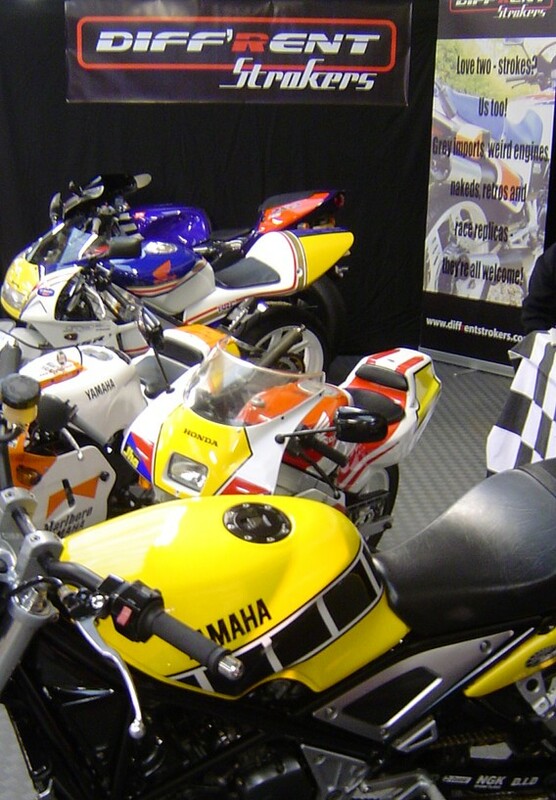 Officially we'd booked 6 bikes in this time. 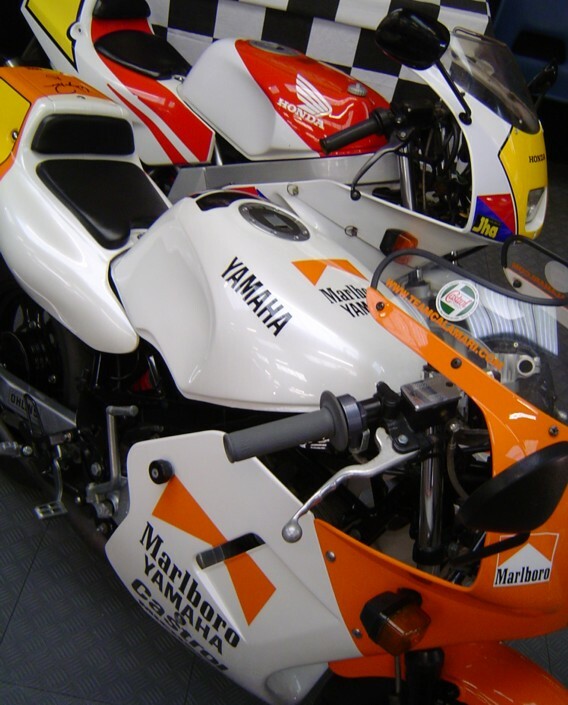 Sara took her NSR50 Gag which was joined by Ben Jewell's lovely Marlboro YSR50. 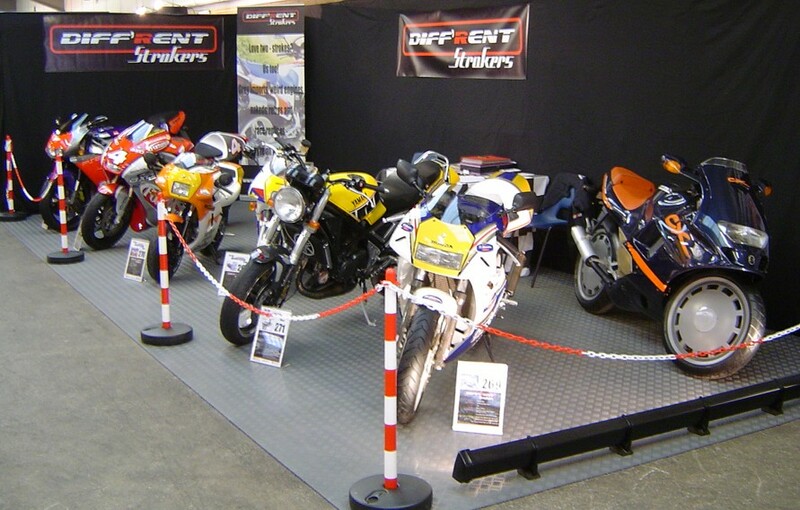 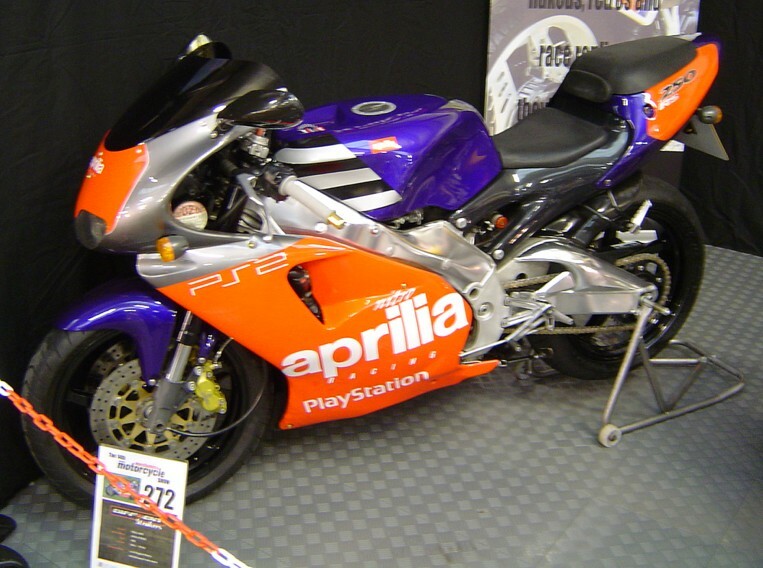 Fred had the 'YellaFella' on display again and Paul Love's shiny Aprilia RS250 became our first non-Japanese bike. 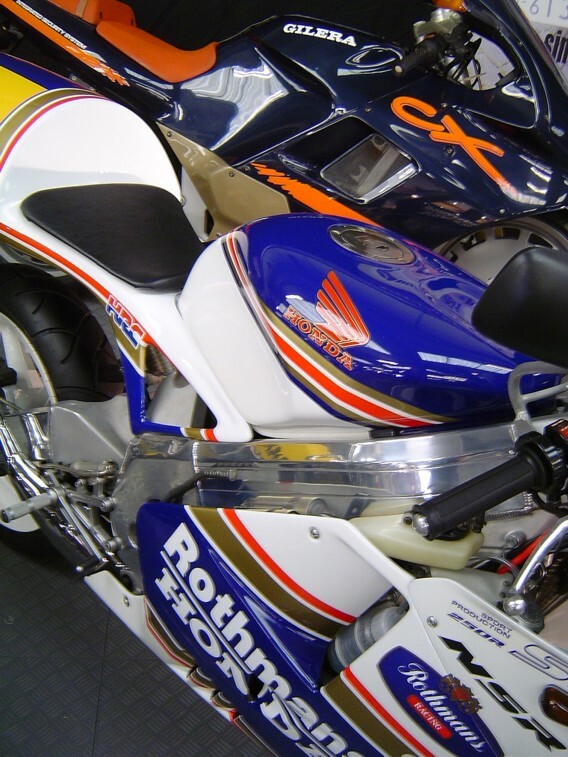 Darin took his new Rothmans NSR250 (MC21-SP) but as he also had the bizarre Gilera CX in his van, that made it onto the stand too. 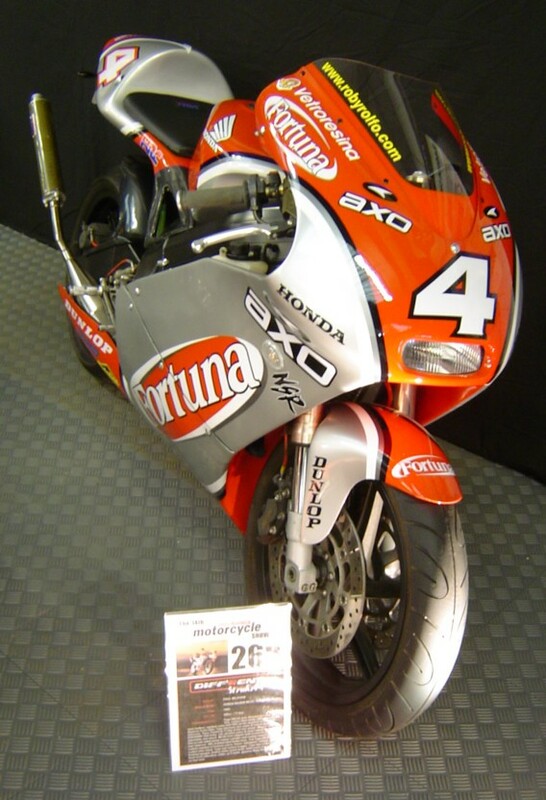 Paul Wilshaw's Fortuna NSR completed the line-up - based on a MC21-R, it's been hugely modified and is now at 300cc putting out a dyno-certified 71bhp. 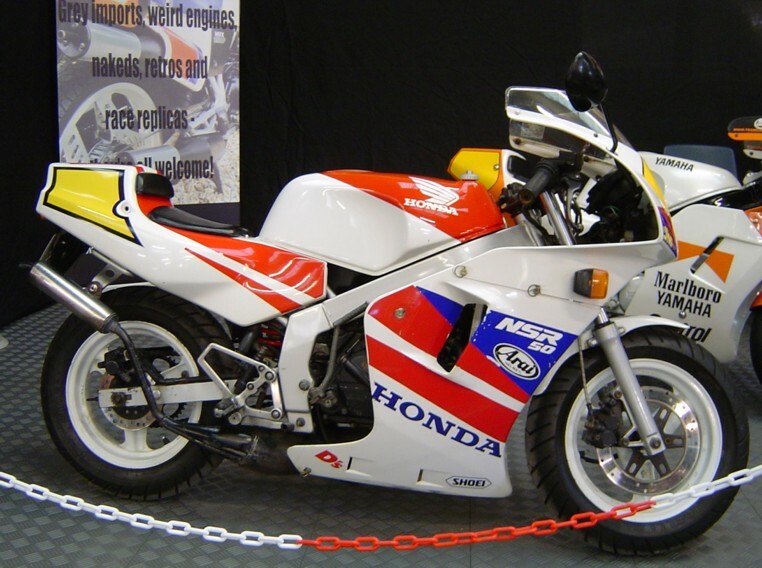 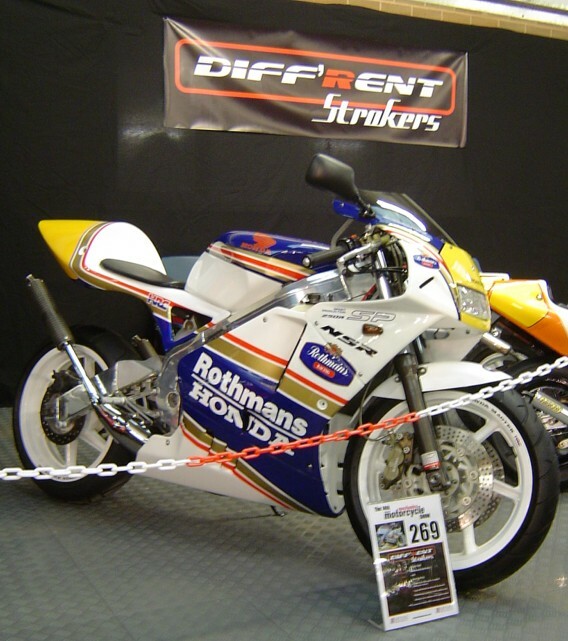 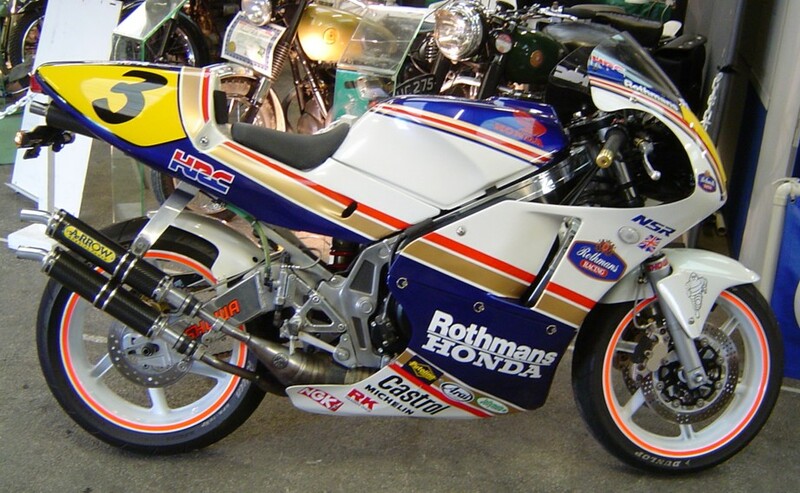 And for some of the Saturday, we also displayed his NS400R special, also in Rothmans paint. 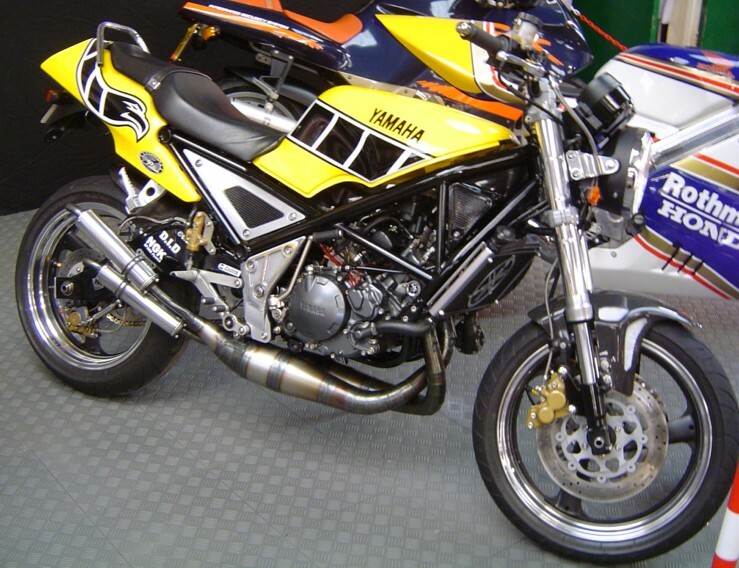 Other show highlights included a Bimota V-Due 500, which happened to be for sale. 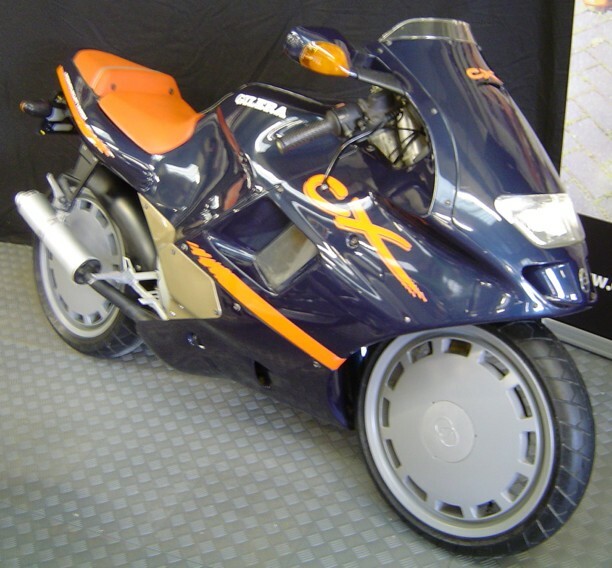 Pockets were checked for loose change but we couldn't scrape enough together, although it looked an absolute bargain compared to the ex-Lawson Cagiva GP 500 engine on sale nearby. 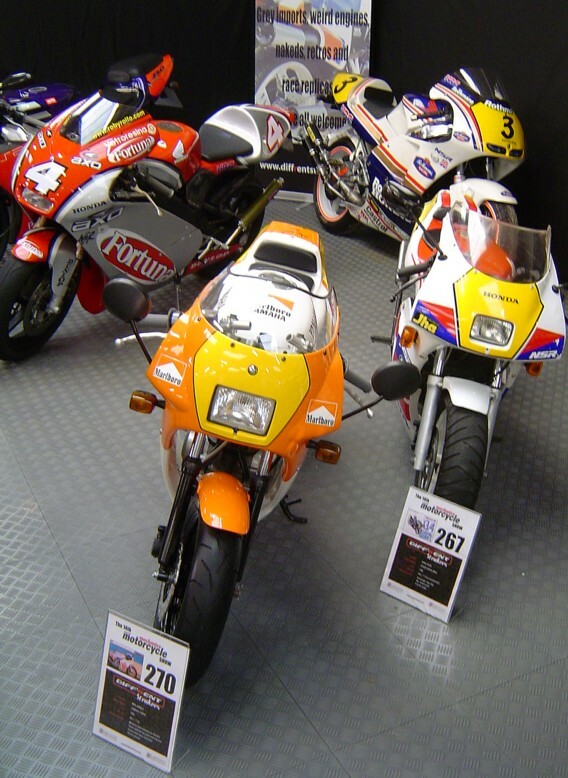 Some great GT750 specials on the Kettle Club stand stood out, as did the LC Club 'Charity Bike' and a very clean reverse-cylinder TZ. 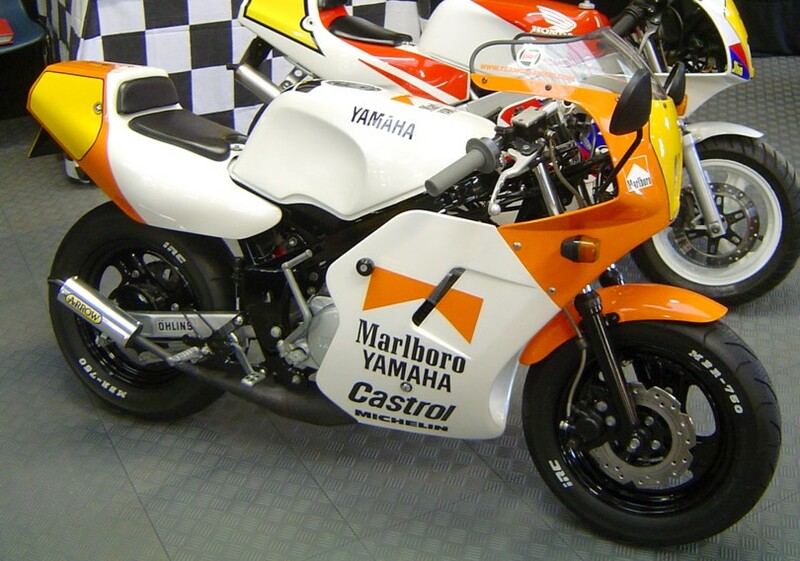 There was even an MVX250 on sale in the autojumble - did anyone buy it ?